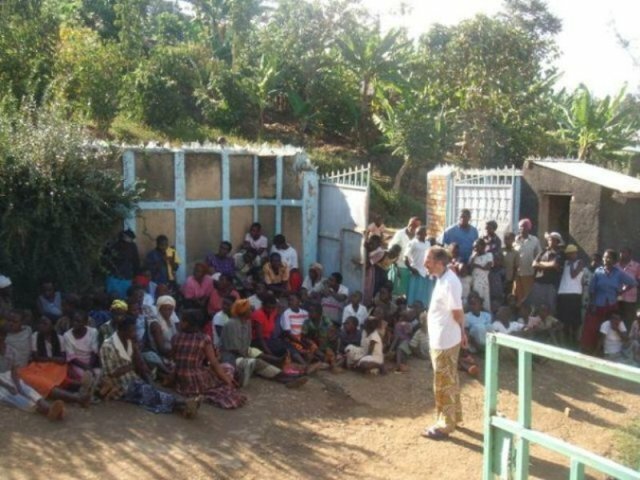 On the 3rd of December 2009, Meaningful Volunteer organized a community meeting for the residents of Buyaya. It was widely advertised in the parish and 146 residents attended. During the meeting - Malcolm Trevena (founder of Meaningful Volunteer) - outlined the plans that Meaningful Volunteer has for the community. He talked about the English literacy programs, the computer programs, the livelihood programs, the water bore-hole initiatives, the plans for building a school/orphanage, and a lot more. The community responded very positively and asked numerous questions. The English and computer programs are set to launch on the 14th of December.